With 47 years behind him he has changed hands only three times, but not an ordinary car. 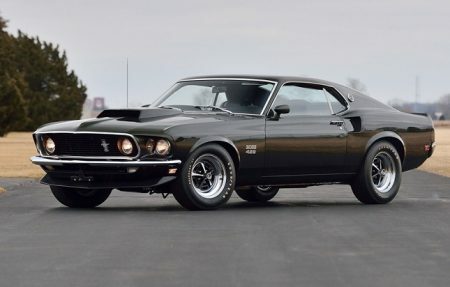 It is a Ford Mustang Boss 429 1969 V8 engine with an exotic of the unusual. Best of all is that this beautiful Mustang is another jewel to be auctioned this month by Mecum Auctions, just before the Pebble Beach Concours d’Elegance. Originally purchased in 1969 at a dealership Tennessee State, this Boss 429 ended later in the hands of a collector of Mississippi, who kept the original model, which is not restored yet-indeed Goodyear tires mounted Polyglas of origin and It has only 14,386 miles on the odometer, ie just over 23,000 kilometers.